Reverse Auction Factory comes with its own implemented ACL system, that uses Joomla groups, and can assign them to either Bidders or Sellers, having automatically set restrictions for accessing various pages of the component or taking certain actions. With this feature configured, when a user wants to visit a specific page, the system checks the permission for this combination of user and action. If it is allowed, then the user can proceed. Otherwise, the action will not be allowed. 1. 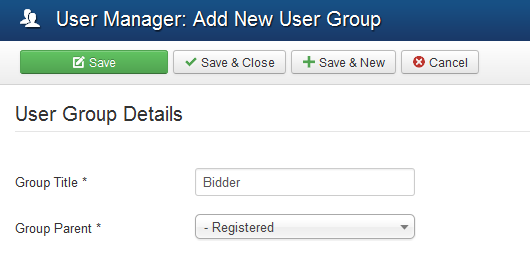 From Joomla's Administrator Menu, go to users and choose Groups section to define Bidders and Sellers groups. There, add at least two new groups, preferably with the names "Bidder" and "Seller", but you can add what suits better on your website. 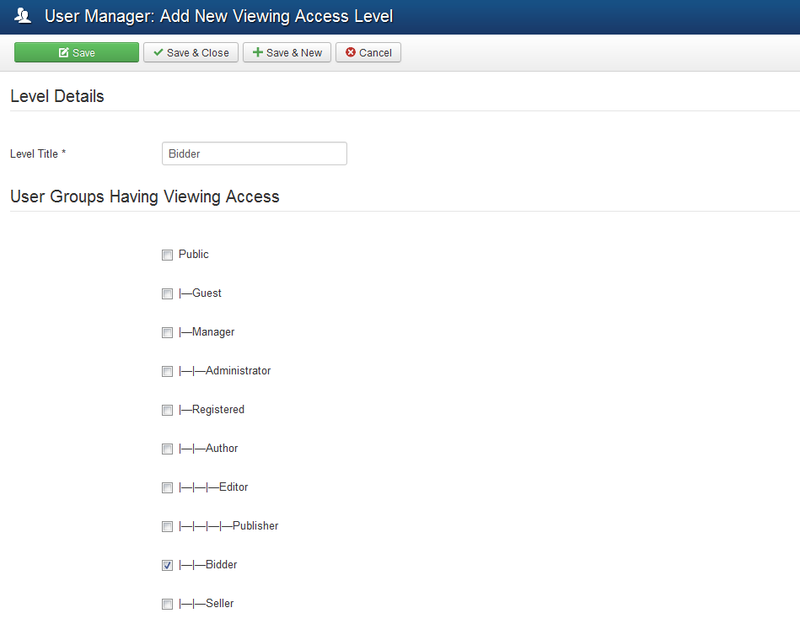 Set access level group to 'Seller' for menu items: 'New offer', 'My auctions'. You can leave 'Auctions', 'Auctions on map', 'Search', 'Categories' and 'Profile' with Public access or only for Registered, as you consider. In the administration area of Reverse Auction Factory, you can find the Users list, with basic user information and management. Viewing an auction does not require a user profile, or even logging in. Here you see their email, country, username, along with the Status and Ranks. The Block/Unblock column allows you to ban that user from the Joomla Login, and incidentally from Auction related actions. Clicking on a name will take you to the details page of the respective user. 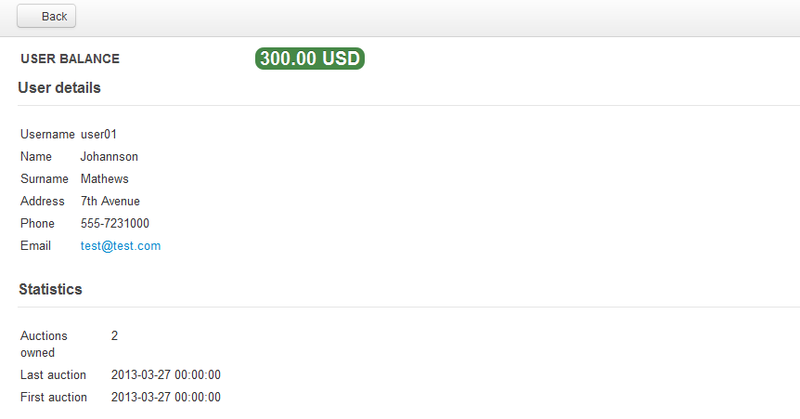 On the details page, you can see all the details that the user has provided (including custom fields), along with a few auction details and the user balance (the balance used for RAF payment plugins).